In October, I had the great privilege of meeting the girl I sponsor at Grace Emmanuel School! 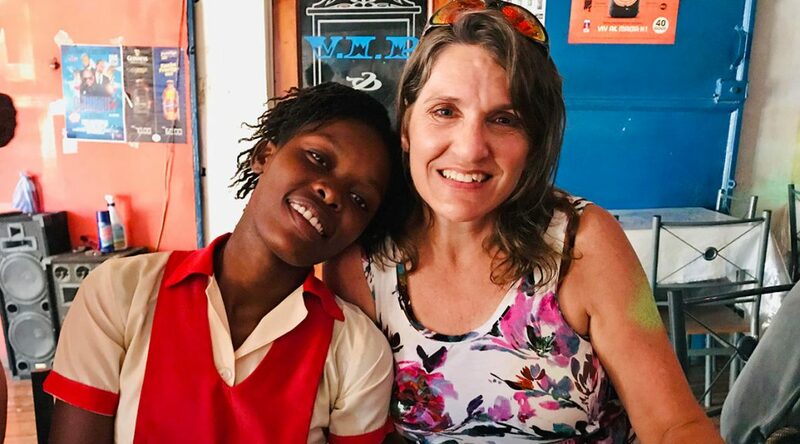 I have sponsored Guerline for about a year—she was a new student at the school, and my heart has been to encourage and support an older girl because girls have so few opportunities in Haiti. She has been a delight to correspond with, and it was her letter stating that she dreams of meeting me “face to face” that put me on the airplane to Haiti. I learned that the staff at Grace Emmanuel School are very committed to making sure the students appreciate and interact with their sponsors. The sponsorship manager sits with the children individually and helps them write letters to their sponsors. I was asked by multiple kids, “Are you my sponsor?” They ALL want to meet their sponsors! Meeting Guerline exceeded all my expectations. She is almost 19 and in 11th grade. I expected some indifference and maybe shyness. I got neither! Guerline was overjoyed to meet me and not at all hesitant about approaching me. We were able to talk (with the help of a translator) over lunch, and I got to tell her everything I had hoped and prayed about: That she is special. That she is intelligent. That God has a plan for her. That I am proud of her. That it is my privilege to be her sponsor. Visiting her home and meeting her mother helps me know how to pray for this sweet girl. Guerline is the youngest in her family. Her mother fears what will happen if the owner of the building where they live makes them leave. They live in a single 20×20-foot room without electricity or running water. Guerline walks about a half mile down a very steep, rocky and deeply rutted road to National Highway 1, where she boards the school bus. This girl loves school! She aspires to be a TV journalist, and her mother is very proud of her. This girl has my heart. Meeting Guerline takes her from being a face on the fridge to a living, breathing young lady with hopes and dreams. 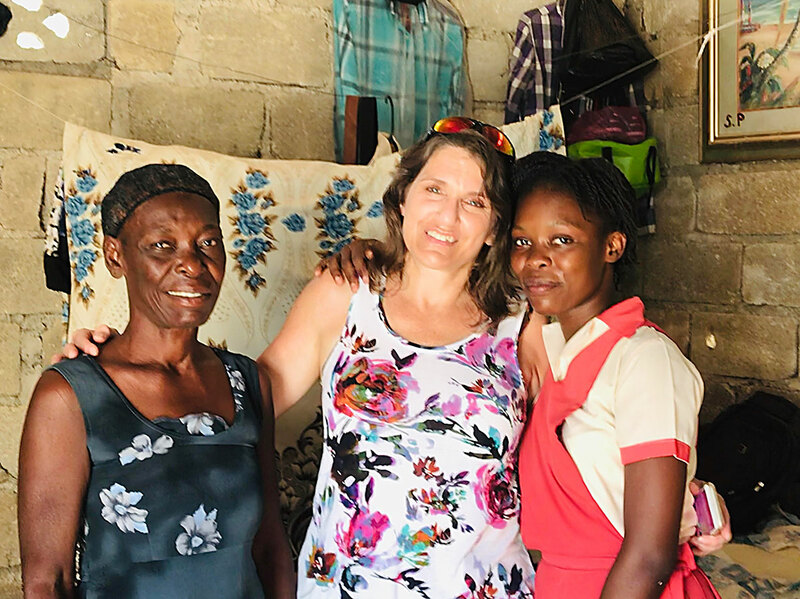 Likewise, meeting me transforms Guerline’s perspective on her sponsor from an anonymous, rich American to a woman for whom sponsorship is more than just a monetary commitment: I hope Guerline saw my heart for her well-being, her welfare, and her future. I truly care about her, enough so to visit her! And, I am eager for the day when I can go back! You can make a difference in the life of a student and her family in Haiti. Find out more about becoming a sponsor.